When you first get started with email marketing, you are probably like every other brand new entrepreneur or business … starting your email list from nothing. Believe it or not, that’s how we started here at TrafficWave. Our total list count was 0. We started at the very beginning, just like everyone does … just like you may be doing, now. Starting your email list from nothing is really pretty simple. Depending on your background and experience, you may have a bit of a learning curve. Fortunately, TrafficWave offers a very thorough training system that includes both written tutorials, training videos, and unlimited online support. 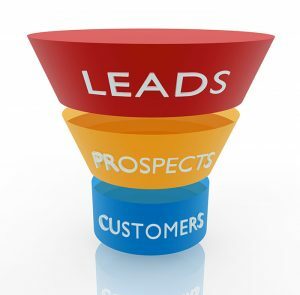 The basic idea is that you are going to learn how to set up follow up letters that will be sent to your prospects. Once those letters are created, you will set up a capture page or add capture form to your web site so that you can convert web site visitors to prospects. Once the capture page or form is ready, you will begin driving traffic to your capture page. Each of these steps can be learned and implemented within a very short amount of time. In fact, if you are just getting started and have 30 minutes, our 30 Minute List Building Challenge is a great way to learn while you start building your very own targeted email list. The key to starting your email list from nothing is to get started with the training. There is no “clock” involved. If you can spend 20 minute per day, you can get started. If you can spend longer, you can get started faster. Start with our training videos and remember: Our support team is never more than a click away. To see some others who once started with nothing and now have built profitable lists using TrafficWave’s autoresponder system, check out our Email Marketing Success Stories. And, know this: If they can do it … YOU can do it! I know this strategy works. After doing the 30 Minute List Challenge, it gave me the confidence to go on and create my own campaign. Of course there is more to learn and the tutorials are very helpful. The thing is to be consistent with your efforts and constant training. So glad you found the 30 Minute List Building Challenge helpful! Even more excited that you are taking the next step and creating your own campaign! THAT is how it’s done, Robin!